The Town Foundation has teamed up with Time to Change to raise awareness this Time to Talk Day. Time to Talk Day takes place every year and aims to tackle mental health stigma by getting people involved with sports clubs and sport sessions. 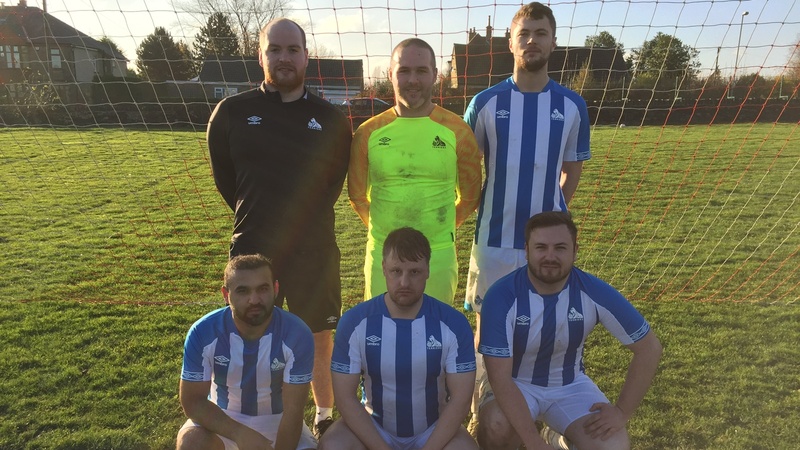 Since the start of the 2018/19 season, the Town Foundation has run weekly Mental Health football sessions on Thursdays (12.30pm to 2pm) at the Leeds Road Sports Complex, which have started to encourage conversations about mental health. Going on from this, some players from the team have grown in confidence and played competitively in the AbilityCounts League. CLICK HERE to find out how they are getting on! Richard Bates, Early Intervention in Psychosis Practitioner, praised the sessions. “I support my clients when they come down to the group. The sessions really compliment the work we do for people who struggle with anxiety, depression, psychosis; it really does help. “We try to normalise mental health by doing ice breakers, getting to know each other more and trying to create a sense of camaraderie. “It’s coaching sessions every Thursday and available for everyone to play, no matter what ability. “At Huddersfield Town, we know that it benefits all of us to talk about mental health. And when one in four of us experience a mental health problem in any given year it’s important that we start the conversation. If you’d like to find out more about how you can get involved, please contact Isaac Keighley via email on Isaac.keighley@htafcfoundation.com or by calling 07741671067. Thursday 7 February is Time to Talk Day – a day when everyone is encouraged to have a conversation about mental health. This year the focus is on finding the right ingredients for a mental health conversation. Everyone is encouraged to talk. Time to Talk Day is run by Time to Change to help spread the word that anywhere can be the right place to talk about mental health – including at work. Time to Change is England’s biggest programme to challenge mental health stigma and discrimination and is run by the charities Mind and Rethink Mental Illness. The Huddersfield Town Foundation is a company limited by guarantee (company number 07690182) and charity (charity registration number 1146501). Our registered office is at: the John Smith’s Stadium, Stadium Way, Leeds Road, Huddersfield, HD1 6PX and our trading office is at: Leeds Road Sports Complex, Leeds Road, Huddersfield, HD2 1YY.